Add a dependency relationship between tasks to make sure they are completed in a particular order. In ActiveCollab, a parent task (predecessor) must finish before a child task (successor) can start. 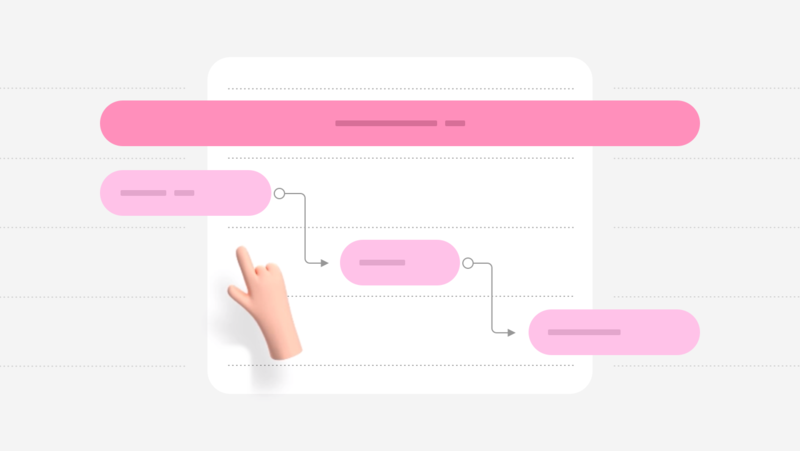 You can add or remove dependencies by opening a task and using the "Add a Dependency" menu or, more easily, by connecting two tasks in the timeline view. When you reschedule a task with dependencies all dependent tasks are automatically rescheduled. When rescheduling tasks, ActiveCollab works around days off. This way, tasks can't start or be due on a day off. 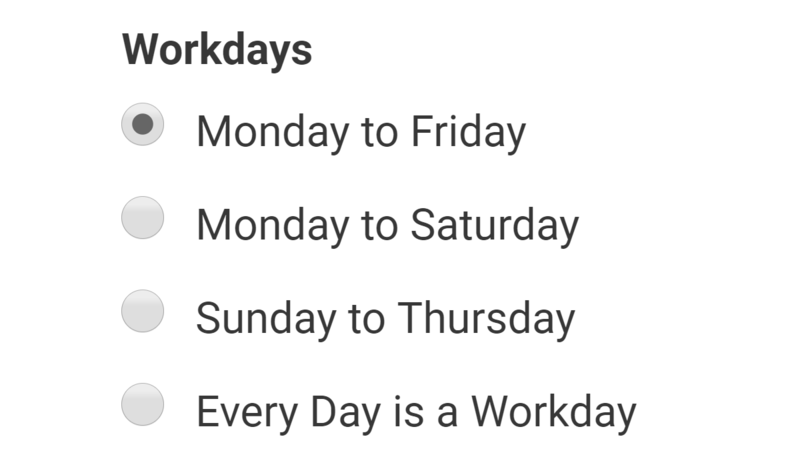 By default, workdays are set to be Monday - Friday, but you can choose any other option in your system settings. Finish-start type of dependency requires that you complete the parent task(s) before starting and completing child task(s). 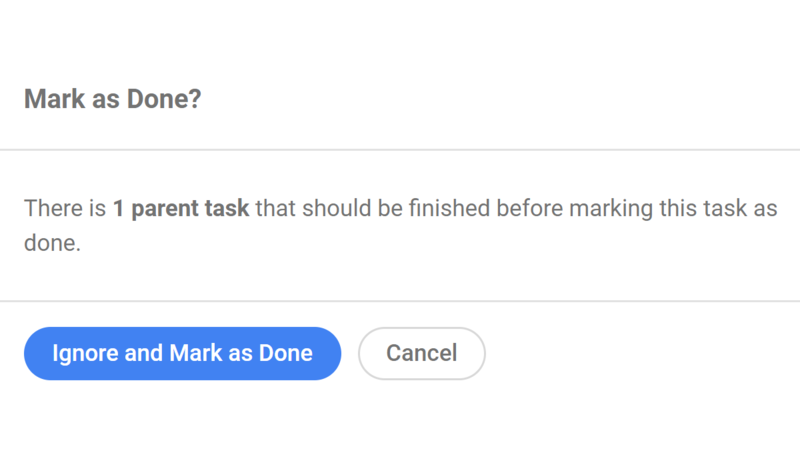 However, you can still mark child tasks as done. You'll always be notified when this kind of exception occurs so it doesn't happen by mistake.